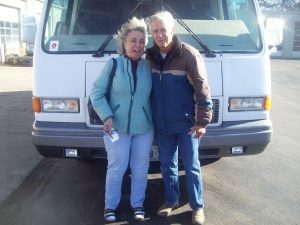 Hanckock RV Repair can reupholster any of your RV furnishings to match a new motif. We reupholster built-in couches, seating, padded components of your interior and more! Your motorhome has never looked better! Add a touch of class to your RV’s interior with accents. From new cabinet doors and hardware to custom TV stands, desks or anything for RV furnishings. 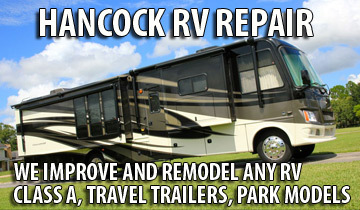 Hancock RV can change the look of your RV interior by renovating the décor.